President Trump spent the morning playing golf with Prime Minister Shinzo Abe from Japan. 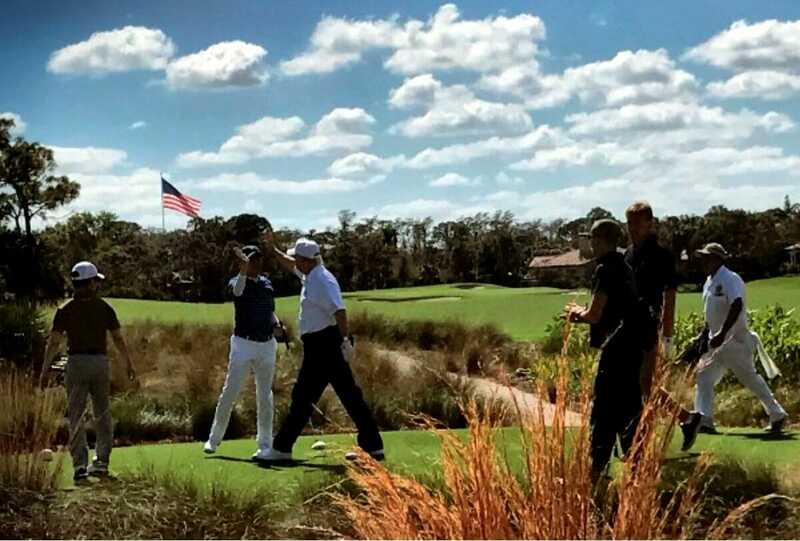 The two leaders played under mostly clear skies at Trump National Golf Club in Jupiter, Florida. President Trump later posted a photo of himself giving Prime Minister Abe a “high five” on one of the greens.